It is nothing new that Samsung Galaxy A3 2016 is part of the handsets that will be updated to the current Android 7.0 Nougat, however, it is completely strange that the phone is being tested for Android 7.1.1 Nougat. 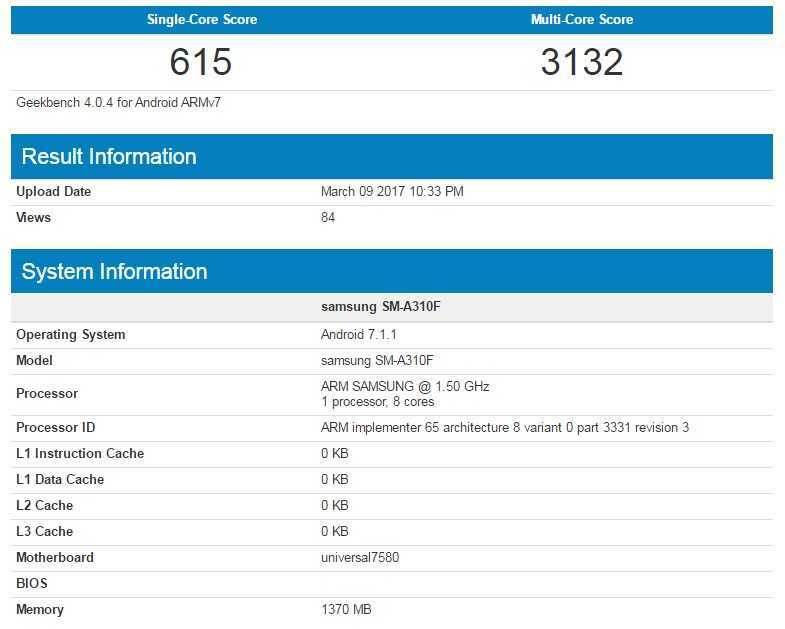 In a new Geekbench listing, it appears that Samsung has already begun testing the newer Android 7.1.1 Nougat on the Galaxy A3 2016, even before the phone is updated to the initial version 7.0. It is hard to say whether this listing means that the company will be pushing the advanced version to this phone in place of the original version, but this is possible given that the company will still be rolling out this update at some point – or even Android 7.1.2 Nougat that is currently in beta. The fact that Samsung Galaxy A3 2016 has been listed on Geekbench with Android 7.1.1 Nougat doesn’t confirm that the phone will indeed be updated to this version. We’ve seen cases where phones have appeared on the benchmarking platform with v7.1.1 only to end up with v7.0 when the OTA comes out. In short, we can’t fully rely on this listing, but it would be a huge welcome for Sammy fans if this version is pushed to the Galaxy A 2016 series. Just yesterday, Samsung started rolling out the new Android 7.0 Nougat to the 2015 Galaxy S6 and S6 Edge, something that throws further doubt to the latest development. It would be weird for Sammy to push v7.0 to its flagships and update the midrangers with a newer version of the same OS, but with no definite pattern of rolling out software updates out, you can brace yourself for a few surprises. Apart from Samsung Galaxy A3 2016, other Galaxy A 2016 series phones that will also be receiving the update to Android Nougat include Galaxy A5, A7, and A8.